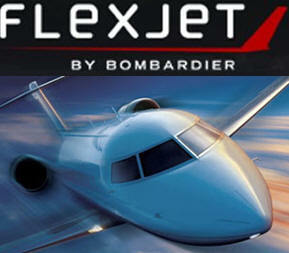 September 9, 2013 - Bombardier has announced that it has reached a definitive agreement for the sale of Flexjet’s activities to Flexjet, LLC, a newly-created company funded by a group led by Directional Aviation Capital. Total consideration is $185 million US and the completion of this transaction is subject to the approval of all required governmental and regulatory authorities and other customary closing conditions. The transaction for the sale of Flexjet’s activities is expected to close by the end of the year. In addition, Flexjet, LLC has placed a firm order for 85 business aircraft (25 Learjet 75, 30 Learjet 85, 20 Challenger 350 and 10 Challenger 605 jets.) The agreement also includes options for an additional 160 business jets. The transaction for the firm aircraft order is valued at approximately $1.8 billion US based on 2013 list prices. If all the options are exercised, the total value of the order will be approximately $5.2 billion US, also based on 2013 list prices. “This marks the next step in Flexjet’s evolution. With more than 18 years of experience in the fractional jet ownership services, the organization has developed into a strong, profitable business supported by operational excellence,” said Pierre Beaudoin, President and Chief Executive Officer, Bombardier Inc.
“This order is another very important endorsement for our Learjet and Challenger business jets. We look forward to having our products participate in the growth of Flexjet, LLC’s activities and its customer base,” added Mr. Beaudoin. Bombardier offers the largest aircraft portfolio in the business jet industry, with aircraft spanning the light, medium, and large business jet categories. The company builds the Learjet, Challenger and Global aircraft families.